Man-bag Monday on a Valentine’s Tuesday! I have never been anti Valentines day. I am actually a hopeless romantic. I was never been that kid who sulked around and thought a day to celebrate love was a horrible idea. However over the past few years I have grown to have a distaste for how the day is marketed. In fact as I was watching commercials over the past few weeks I have been discussed at the overtly sexual message. So I thought I could share a few of my thoughts about current Valentine’s day trends….. There is never a good time to give a life size teddy bear. It is scary. It is creepy and there is a chance your wife could love it more than she loves you because the bear is cuter, cuddles more and will not talk back. When a day, “dedicated,” to love is diminished to sexual favors there is NO LOVE involved. It really has become a form of manipulation. I have been angered at how many commercials encouraged men to buy the product because with the purchase of said item they would receive said benefits. This is not only seen in commercials but was in many of the cards I looked through. When a day, “dedicated,” to love is diminished to the exchange of food items and flowers something is missing. How interesting is it that our society elevates items that are perishable and will never last as the tokens of our great, “Love,” for one another. When we have to have, “A,” day, “dedicated,” to love we have missed the boat. Love is not a momentary action but a life long journey. It can not be inflamed on one day and the doused with the waters of reality the next. Just so everyone knows Drea and I do celebrate Valentine’s Day. 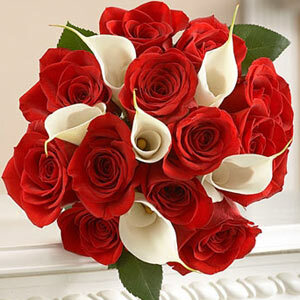 She is actually working today so I had roses with calla lilies (calla lilies were part of our wedding decore’…..POINTS!) sent to the house yesterday. The funny thing is that outside of the cards everything else we already knew we were getting. The other day while walking throughout Target we both said, ” OOO I like that candy!” to different types of chocolates and other goodies, to which the other would joyfully reply…”Happy Valentine’s Day” as we got in line to purchase the candy. These look very similar to the ones I gave my lovely wife! This works for us because my wife is my best friend and I do my best to dedicate my life to loving her. While I fail more than I excel I am thankful that we do not need a single day to rededicate our love to one another. So tell me….What do you think about current Valentine’s day trends? ….and that’s my rant on this Man Bag Monday on a Valentine’s Tuesday!